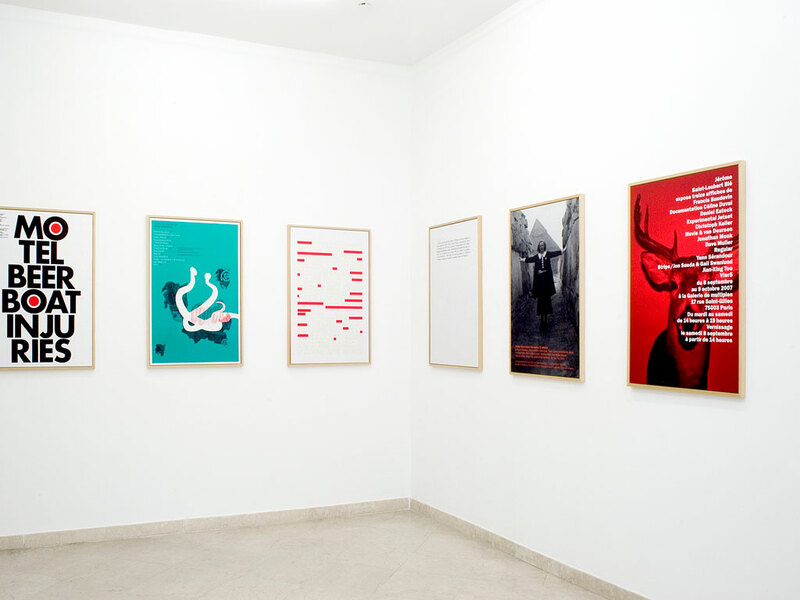 2 portfolio editions each containing 13 posters, 90 x 60 cm [25 1/2 x 22 5/8 in. ], offset printing, edition of 13 + artists’ and editors’ proofs. Total print run: 100 copies of 26 posters. Invited to present a solo show at Atelier Cardenas Bellanger, I opted to double the stakes and do a double show, part at Atelier Cardenas Bellanger and part in the showroom of Galerie de Multiples. I asked 13 artists, graphic designers, and graphic design groups, who I felt had conceptual interests similar to my own, to each design two posters announcing my double exhibition, one for each of the two venues. The only constraints set out were the text to appear on each of the two posters, size, and printing process. These posters thus designed by others were mailed as announcements and they were also the only works exhibited. 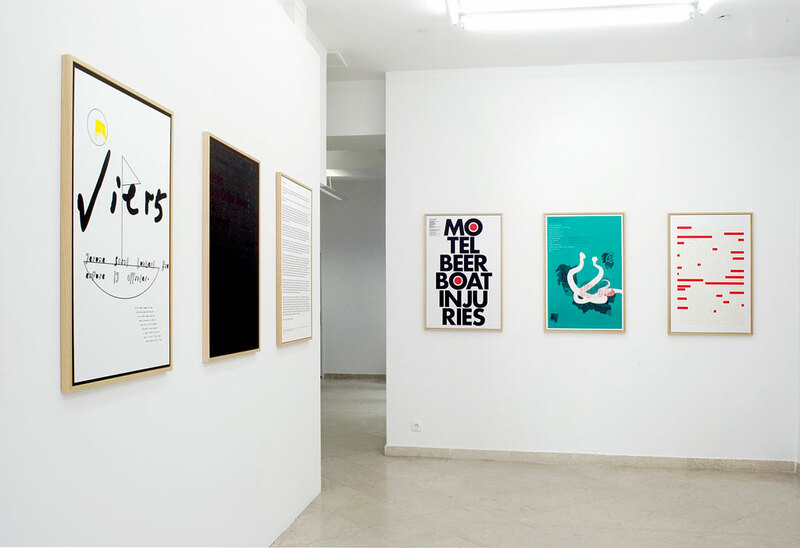 Straying from advertising’s habitual way of working, all posters announcing the show at one gallery were framed and shown at the other gallery, and vice versa. Copies were put aside to form two portfolio editions and, likewise, each gallery sold the portfolio edition advertising the show at the other gallery. 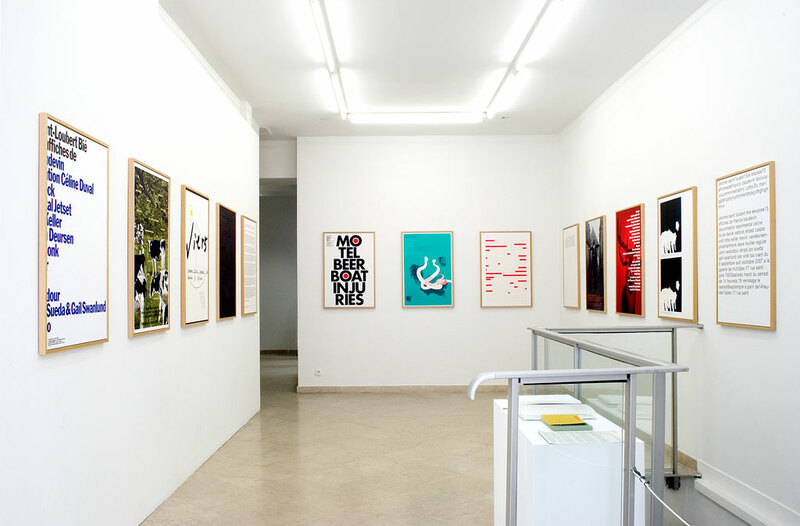 The posters have a triple existence—as mailed announcements, as exhibited works of art, and as limited editions. As a whole, the work constitutes a record of itself.